The economy of Texas is roughly the tenth largest in the world when compared to other countries, which is why the conversation about Texas nationalism is no laughing matter. Despite recent actions barring official state travel by Californian legislators over the sanctuary cities controversy (Senate Bill 4), Californians will no doubt continue to move here. In fact, even with the sanctuary cities crackdown, immigrants will continue to come here! Why? The opportunity. Lower taxes. The culture of free markets, individualism, and… Friendliness. It’s embedded in the state’s very name, and that name has a story to it. Tejas, the Caddo Indian word for “friendship,” was first introduced to Western ears when European settlers ventured across the piney woods and swamps of Louisiana only to reach Caddo Lake where they encountered the native tribe. It was understood that the settlers could have all they wanted right up until the piney woods gave way to plains and the lake was in view. Trade was acceptable. Reportedly intermarriage as well. Of course, it happened anyway, whether acceptable or not to their elders. Such was the spirit of the cooperation and respect for sovereignty that this symbiotic relationship lasted until the fall of New Spain, and the creation of newly independent Mexico with Tejas in the northeastern most region. Before the dust could even settle between the newly minted Lousiana Purchase and the Mississippi river disputes of the French, Spanish, and Americans, trouble was brewing in Mexico. Slaves, some newly freed, hordes of Anglo settlers, and Spanish impresarios became a challenge to General Santa Ana’s military dictatorship. It was like oil and water. Or ketchup on steak. For many of these folks, rebellion didn’t seem so daunting. Even more so, when you consider the fact that the federal government in Mexico City had shown little interest in setting up institutions that would benefit the citizens of Tejas. Mexico City did, however, take great interest in barring the Tejano citizens from erecting their own institutions. Creating an environment where rebellion was not a fanciful, romantic endeavor, it was a necessity. This led to a brief decade on independence in the Republic of Texas. Through gunpowder and blood, Texans sealed their fate. Yet, just a few short years later, many of those same Texans would go on to ratify annexation to the United States by majority vote in the legislature. Despite all of this, Texas nationalism still manifests itself in a way all it’s own. Though it should be said, this is an altogether different nostalgia than some still have in the southeast for the Confederacy. Whether it was Rep. David Simpson who bravely in the last decade tried to kick out the TSA or Rep. Giovanni Capriglione who fought in the last legislature to repatriate Texas’ gold from the Federal Reserve of NY, the spirit lives on. 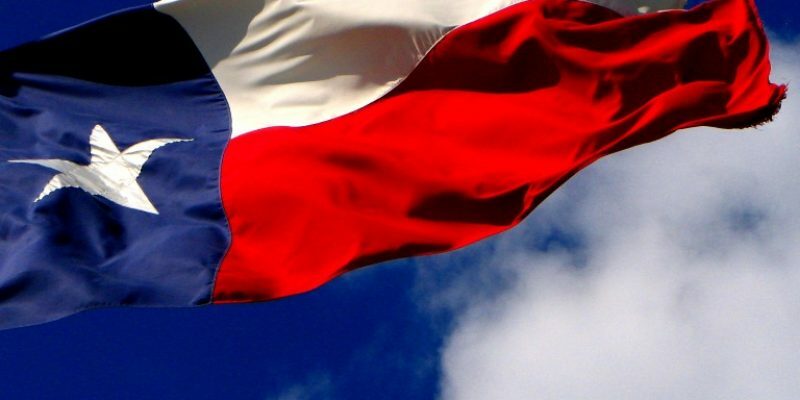 Texans still have a sense of independence, not in a rough and rugged way portrayed as brash and irresponsible by the coastal elite press and academia, but in a way it has always wanted. A republic in waiting, with state and private entities that could, at a moment’s notice, replace those of the far off federal leviathan that has begun to resemble the dictatorship of Santa Ana all too well. For anyone concerned about the strain of nationalism in Texas politics and culture, the future will continue to worry you. Texas nationalism isn’t going anywhere. Just a couple weeks ago, Texas Boys State voted in their mock legislature to secede from the Union. Impossible? Probably. But one thing is for sure, the future leaders of Texas have internalized this cultural mythology for a reason. If one day the US empire were to fall, there will be another smaller Republic eager to takes its place in history once again.